February: the second month of the year and the month of showing love. In other words: Valentine's day is coming up. What time of the year is more perfect than February to discuss some of the best couples on television? So, I would like to welcome you to the first Couples Counseling session of this February: Nadalind. I assume that most of you have seen the latest Grimm episode that premiered on January 29. And if you are like me, a fangirl (or boy) that has been wanting Nadalind to happen for forever, then there's a 100% chance you are still freaking out over this first kiss like I am. Seriously, my Twitter feed is like a Nadalind bomb right now. So let's break this down, shall we? -"Nothing about us is safe"
1.) Although they already make a family and are Nick's soft spot, his growing feelings for Adalind put an even bigger target on their backs. Imagine what could happen if they were a couple. 2.) Nick's friends - how accepting of Adalind are they going to be if Nadalind becomes a thing? We all know that Nick takes their advice very seriously. It would be harder to be a couple if your group of friends can't accept your new girlfriend.The past is the past, as many like to put it, but memories are also memories. And with them comes pain. Adalind of course isn't to blame alone, many events had impacts. But will they be able to fully move on? It's not about them anymore, but also about Kelly. You know, kids first. 3.) Adalind slept with Hank and Sean. Wouldn't that kind of be a little awkward? 4.) Kelly is the newest bomb to land on them. Baby bomb! They will go through typical parenting problems like any other couple. They will bond over that; they already are. I just think that they shouldn't start anything because they think it's best for Kelly. I understand the need to give Kelly a normal upbringing (as normal as possible, let's not forget that we still don't know what powers Kelly could have) As Adalind put it best, it should be about them and not anything else. 5.) Meisner. Something about the last episode makes me think that he may have feelings for Adalind. What about her? 6.) Juliette/Eve. Will they explore the avenue of Eve remembering Juliette's feelings? It's already complicated enough with Nick's surprise of seeing Juliette/Eve. He spent so much time with her, he wanted to marry her. And then everything went south. Even if he gets over her, will he really be able to move on? Will he carry the guilt of being part of the cause behind Juliette's death with him? Eve being around won't necessarily help with all of those unresolved feelings. 7.) Adalind is a Hexenbiest. Eventually her powers will return. It will change things, even if she doesn't want to. Either she finds a way to get rid of them for once and for all, or Nick and her will have to figure out a way to accept her "true self". 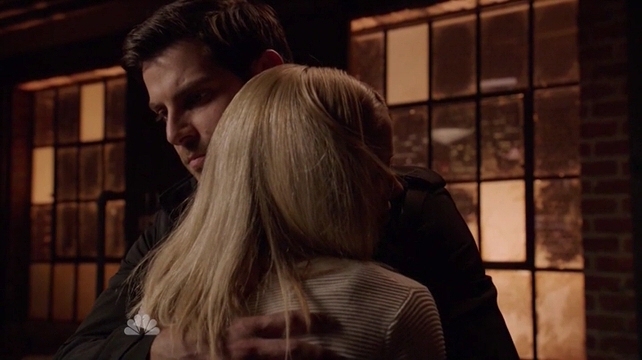 My final advice as Nadalind's Couples Counsellor for the day: Nick, Adalind, take it slow! I want you to become a stable couple, so take your time. Figure things out - together. Talk openly about your feelings and your concerns. Become a couple that can fight together. For that, you need to become a team. What do you think? Will it work between them? It has been confirmed that Nick and Adalind are heading towards romance, but will it last? Can it last? Are you worried that the writers may want to bring Eve/Juliette into the picture? I would be happy if you would share your thoughts on the matter with me - in the comment section or on Twitter! Let me know what you think and feel free to add your opinion/thoughts/concerns with me and the Grimm community! This is the end of the first edition of Couples Counseling. If you have any specific wishes for the next couple, let me know! Until next time! Click here to watch the full kiss scene!